What if you could deliver marketing that was heaps of fun to make, that customers loved and that brought tonnes of revenue back to the business? This is how we see content marketing done well. Great content marketing does not have a finish line, but taking the first step is still the most important part. 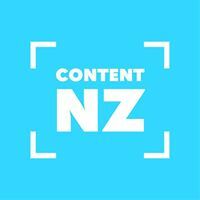 The Content NZ training approach is all about continuous innovation - doing, learning and then doing more. Wherever you are, there’s something to learn. This is the first of a series of workshops that together will form a complete picture of the six parts of a healthy content marketing programme. After almost 20 years in Apple’s marketing communications group, Stuart Braxton knows a thing or two about brand purpose. At Apple, Stuart was closely involved in the launch and roll-out of some of the most iconic consumer products of all time, including the iPhone, iPad and iMac, and game-changing services such as iTunes and the App Store. During this time, he lived and worked in the UK, US and Australia, including stints as global marketing communications lead for the iPad product line and Head of Marketing Communications for Apple in Australia / New Zealand. 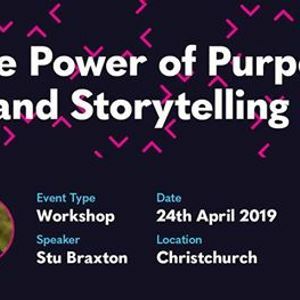 Since starting a Christchurch-based consultancy in early 2018, Stuart has helped dozens of New Zealand brands make an impact nationally and internationally by extolling the virtues of purpose-led marketing. After Stuart sets the stage for what’s possible, you’ll get your hands dirty as we walk you through the steps to make this learning real. You’ll learn methods for discovering your purpose and using that to craft a meaningful brand story. This is the crucial first step towards effective content marketing. 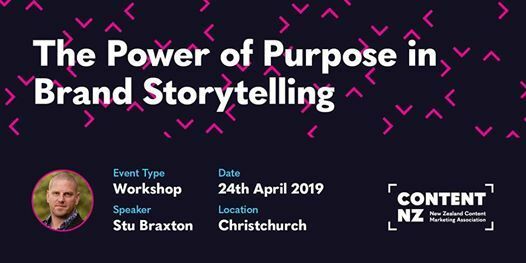 For anyone who wants go deeper into their brand story, Content NZ and Storytech are giving all workshop participants $100 off the Storytech digital brand story training, which gives you a full day of brand story building for your team.